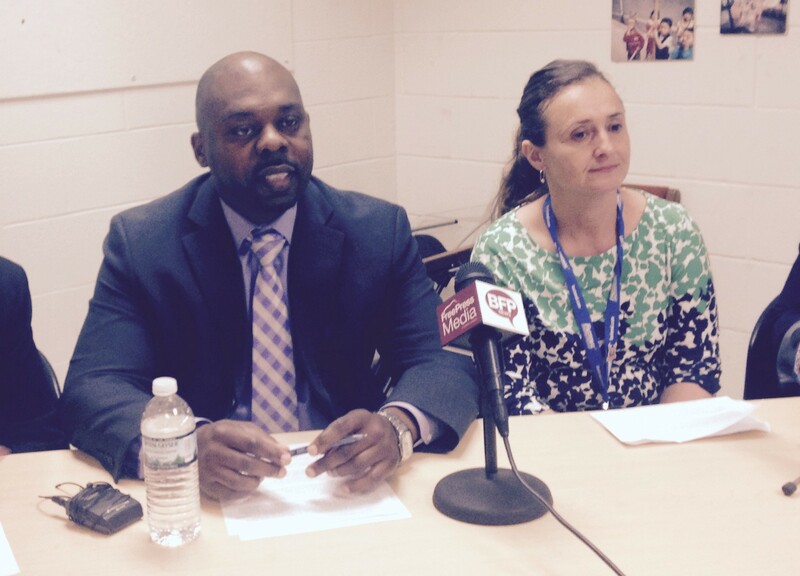 Burlington school superintendent Yaw Obeng announced Wednesday that he is reassigning the leaders of many of Burlington’s nine schools. Budget pressures mandate prompt action to seek efficiencies and collaborations that will better serve students, according to the superintendent, who is in his first year on the job. He said he expected the shakeup could generate pushback from some parents, as well as calls to move more slowly. Parents initially seemed to react cautiously. Obeng said the shifts will not cost the district more money. 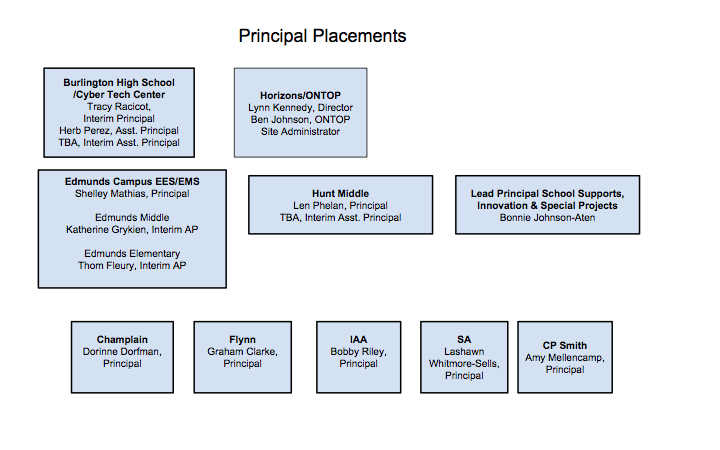 That’s even though at least one administrator, Edmunds Middle School principal Bonnie Johnson-Aten, will move to a newly created central office position to help principals and promote innovation. “It’s either going to be cost-neutral or we’re going to save dollars,” Obeng said. Due to retirements and resignations, it appears only eight Burlington teachers will be laid off, instead of some 24 that could have gotten the ax next year, Obeng said. Not all the principals wanted to be reassigned. In one of the more controversial moves, Burlington High School principal Amy Mellencamp will leave her post after 17 years to become principal of C.P. Smith Elementary School July 1. Mellencamp had butted heads with Obeng. She fought to maintain a broad array of offerings at the city’s sole public high school, including access to Advanced Placement courses that are popular with top students, in the face of budget pressure to reduce staff and offerings as enrollment declined. Mellencamp told Seven Days Wednesday that she was surprised to be re-assigned. She plans to retire in June 2017 and wanted one more year at BHS. “I certainly let the superintendent know that that was my intention and I certainly advocated to stay here for one more year to finish out my service, but also to transition the new person,” Mellencamp said. Last month, several hundred people attended a school board meeting to complain about redundant study halls, “dead time” in student schedules at BHS and lack of space in courses such as AP biology. Some parents Wednesday immediately questioned Obeng’s decision to move Mellencamp. Classes that will not be offered at BHS next year, according to Mellencamp: AP Spanish, Latin III and IV, Physics II and some remedial math courses. C.P. Smith principal Thom Fleury, who will be reassigned as interim assistant principal at Edmunds Elementary, did not immediately respond to a request for comment. Other shuffles: Burlington Technical Center director Tracy Racicot will become the high school principal on an interim basis, for at least the 2016-2017 school year. Shelley Mathias, principal of Edmunds Elementary, which sits next to Edmunds Middle School on Main Street, will lead the two schools in a bid to increase collaboration and maximize use of space. Dorinne Dorfman, an outside hire, will assume the vacant principal slot at Champlain Elementary School. The principals at J.J. Flynn, the Integrated Arts Academy at H.O. Wheeler and the Sustainability Academy at Lawrence Barnes will remain the same.